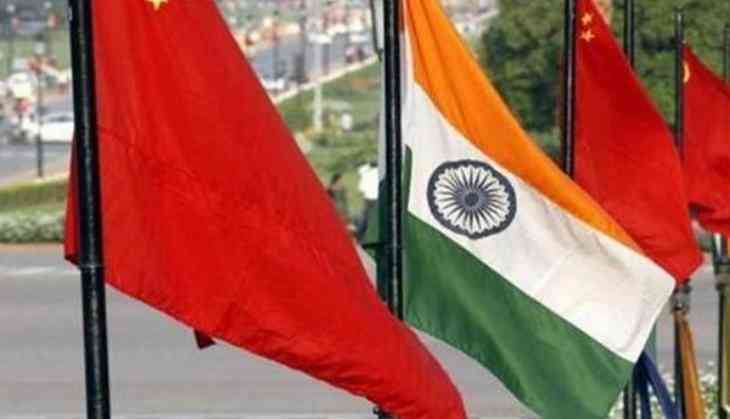 Russian Government's former deputy minister of transport and Railways Dr. Vladimir Yakunin has asked China and India to resolve the issues between the two countries arising out of ' Doklam standoff' by peaceful dialogue saying that "No country wants to see war or direct confrontation between any countries and there is no issue which cannot be resolved through dialogue." On the question of ongoing standoff between India and China in the Doklam area of Bhutan close to India's Sikkim sector, Dr. Yakunin said while talking exclusively to ANI, "Who wants war today? No one in the world wants to fight perhaps. Every country wants peace and progress. And, if there is any dispute, it should be and must be resolved through peaceful dialogue between the two countries." Dr. Yakunin, chair of the supervisory board of DOC Research Institute, a Berlin based international think tank was recently on his visit to Delhi to meet with a cross section of stakeholders including the government, businesses, think tanks, UN agencies and media organisations to understand various developments taking place in respect of social economic and political developments both in India, South Asia and world at large. Expressing concern over the Chinese and Indian soldiers continued face-off in the Doklam area of the Sikkim sector for over a month after Indian troops stopped the Chinese army from building a road in the disputed area, Dr. Yakunin said," both countries must initiate direct talks to resolve it." China claimed that they were constructing the road within their territory and has been demanding immediate pull-out of the Indian troops from the disputed Doklam plateau. India has conveyed to the Chinese government that the road construction would represent a significant change of status quo with serious security implications for it. Dr. Yakunin refused to comment on the ground situation between the two countries saying, one should find the points of agreement rather than looking for disagreements. And if there is any dispute on the ground, both should immediately start a dialogue to find a mutually acceptable solution. One of the key objectives of Dr. Yakunin's trip to New Delhi was to find dialogue based solutions to problems of regional concerns and offer alternative solutions to conflict resolution and peace building exercises. He was also here to explore the possibility of kicking off DOC Research Institute's activities based out of Delhi. It is worth mentioning that Doka La is the Indian name for the region which Bhutan recognises as Doklam, while China claims it as part of its Donglang region. Of the 3,488-km-long India-China border from Jammu and Kashmir to Arunachal Pradesh, a 220-km section falls in Sikkim. Speaking on India-Russia Relations, he stressed the need for deeper engagement between the two countries and build on the long standing good will and relations that the two counties have enjoyed over the last 70 years in particular in context of changing geo strategic relations in the regions and emergence of unipolar world. "Both countries together can play a decisive role in addressing new developments in the regions effectively," Dr. Yakunin said, while addressing an international conference on 'Future of Cities' organised by ITPI and another one on ' India-Russia Bilateral Relations in Global Context'. Dr. Yakunin met with the Vice President of India on the sidelines of a book launch and several ambassadors and members of the diplomatic circle. He also held series of meetings with officials of FICCI, IMF, UNESCO, UNFPA, WHO, NIUA, RIS, ITPI and representatives of Swedish Embassy and Brookings India. He also stressed that in the given situation there is also a need for alternative solutions and DOC Research Institute will set up its operations soon in Delhi, given the fact that South Asia region is now a pivotal actor needing credible and factual assessment of situation on the ground and providing dialogue among actors as an instrument of finding consensual solutions to various aspects of social, economic and political that hold the key to regional partnership and people's well being. He said that, in coming months, DOC Research Institute will start to focus on Asian region with particular focus on India, China and Russia coinciding with the start of its operations in Delhi. Dr. Yakunin during his recently concluded trip was accompanied by Pooran Chandra Pandey, CEO, DOC Research Institute, who before heading the Institute in Berlin worked with Times of India as its Director and as Executive Director, United Nations Global Compact India.